I am thankful for photography. Photographs. Pictures. Photos. Images. Snapshots. Portraits. Prints. Candids. I have been obsessed with photography since I was a child. I loved picture books. I thrived on visual entertainment, such as movies and theater performances, and I am a visual learner, so any time a teacher showed an image, handed out a paper, or asked us to view a slide show, I excelled. Mostly though, photography for me was an embraceable art, and actual printed photographs have always been an extension of a special moment, a way to hold on to my memories, and a keepsake I could take with me when the birthday, holiday, or special event was over. I picked up a camera when I was young, probably 5 or 6 years old, and I’ve been shooting ever since. I still have a few of my old cameras (Pentax was my first, Canon is my current choice), and I have more than a few albums filled with pictures of my friends and family members at weddings, birthdays, anniversaries, and more; scrapbook pages covered in snapshots of our adventures to Disney World, seashell searching on Florida beaches, and snow skiing in New Mexico. I could never draw more than stick figures and rainbows as a kid. I couldn’t do more than roll balls and make squiggle lines with Play-doh. I was only good at painting when it was paint-by-number. So, for me, photography was the art form that I not only enjoyed the most, but one I felt could excel at and share with others without being embarrassed. 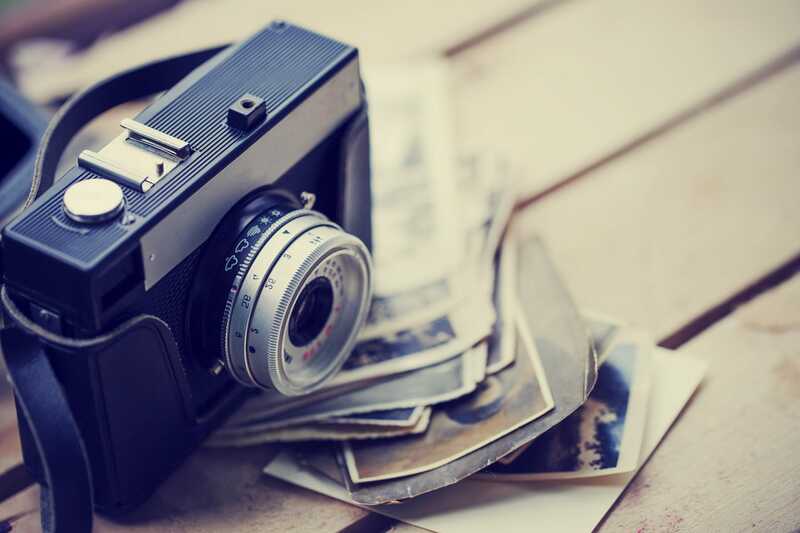 As the years have passed, photos have gone from film to digital, from black and white to color, from prints to computer wallpapers, and from cameras to phones. I am truly amazed at the progression of photography and how it is being used for and by families, schools, businesses, and entertainment. I was blessed to teach photography to junior high and high school students for over 15 years, and I loved it every time I watched a student’s face light up at capturing a moment and then being able to share it with those closest to them. I love seeing photographs of friends and family members. I love looking at pictures of our own family. I even have a new family photo shoot coming up, much to the chagrin of my husband. It involves holiday pajamas! Photography has given me a hobby, an expression of art, a career, a gift I can give to others, and a passion. I’m giving thanks for photography because for me, photography just makes the world a better place.